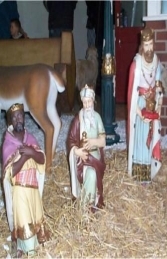 A traditional Joseph with staff in hand would complete your Nativity scene. St Joseph wearing purple tunic with a yellow drape over his shoulders and sandals. He is kneeling on one knee with his staff in his hand. 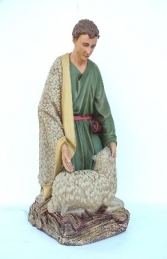 He would look great with your Nativity set watching over Mother Mary and Infant Jesus in the crib.